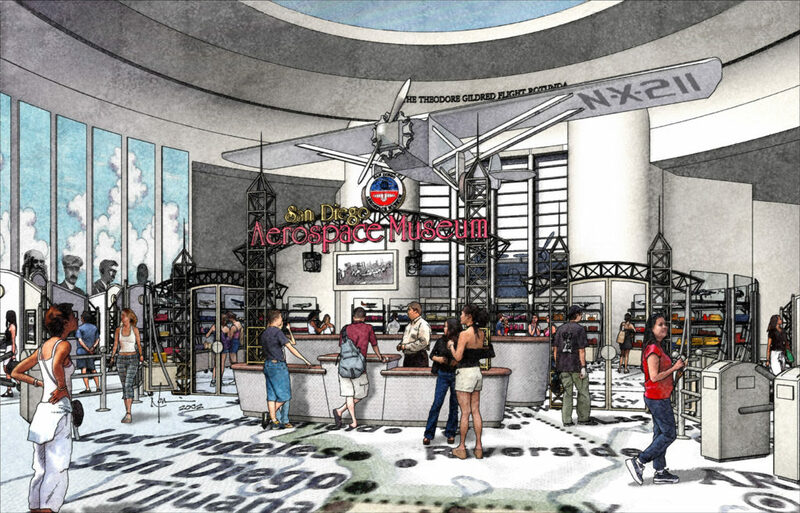 Exline Design & Architecture is pleased to have worked closely with The Palmer Partners of Kansas City, Kansas, in conducting a creative review of the San Diego Air & Space Museum’s guest experience. 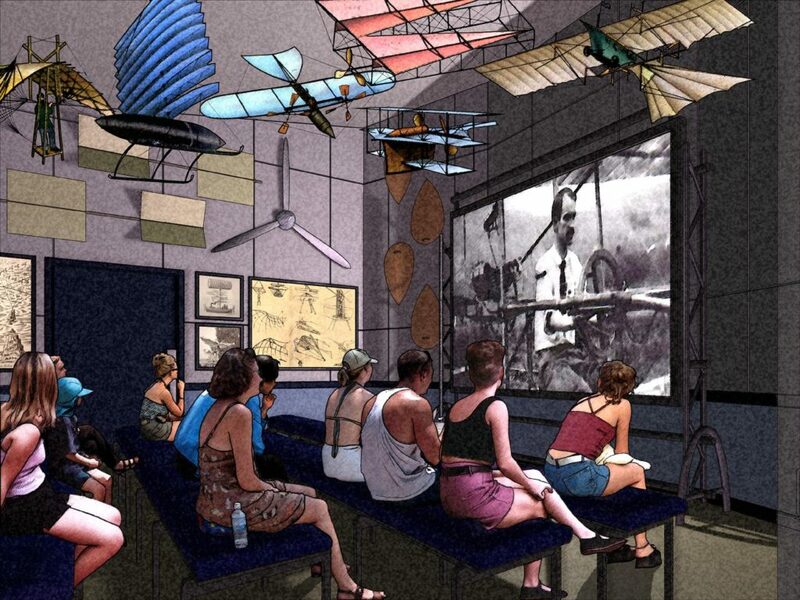 This exceptional museum is located in San Diego’s world-famous Balboa Park, and boasts the third largest collection of authenticated aerospace artifacts in the United States. The existing museum building is a classic art deco structure that currently sits on the United State’s National Register of Historic Places. This exceptional statement of American architecture is an historic remnant from San Diego’s Pacific International Exposition of 1935-36. 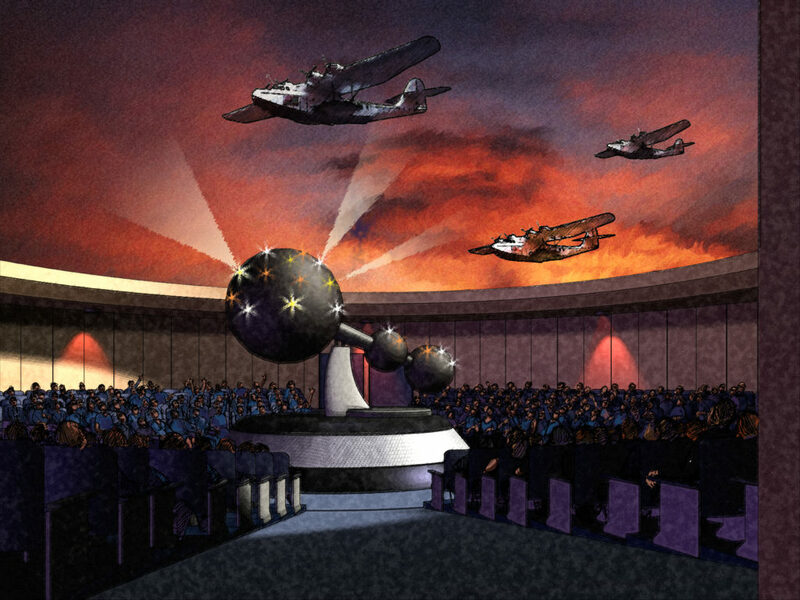 It was originally built by the Ford Motor Company and featured an exhibit celebrating the history of man and transportation throughout the world. 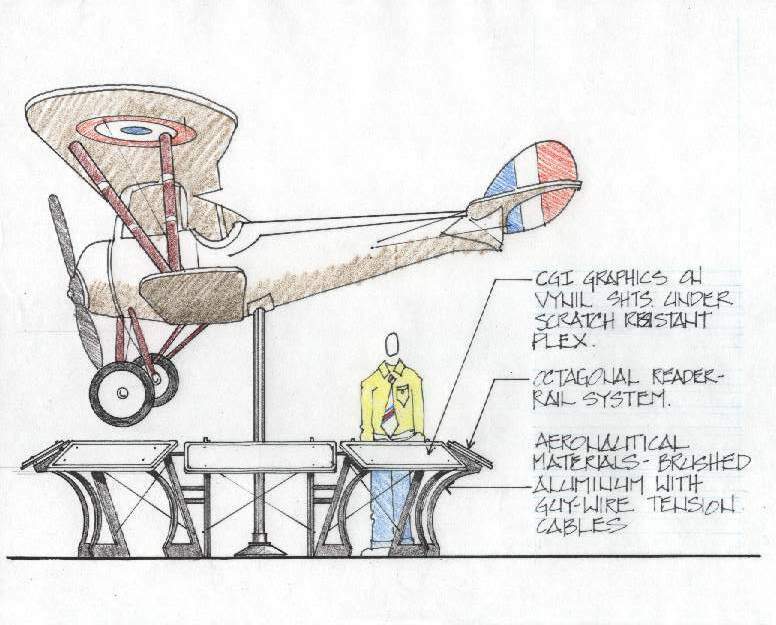 A notable aspect of EDA’s creative effort was the design of a new interactive exhibit entitled “The History of Commercial Aviation in America”. 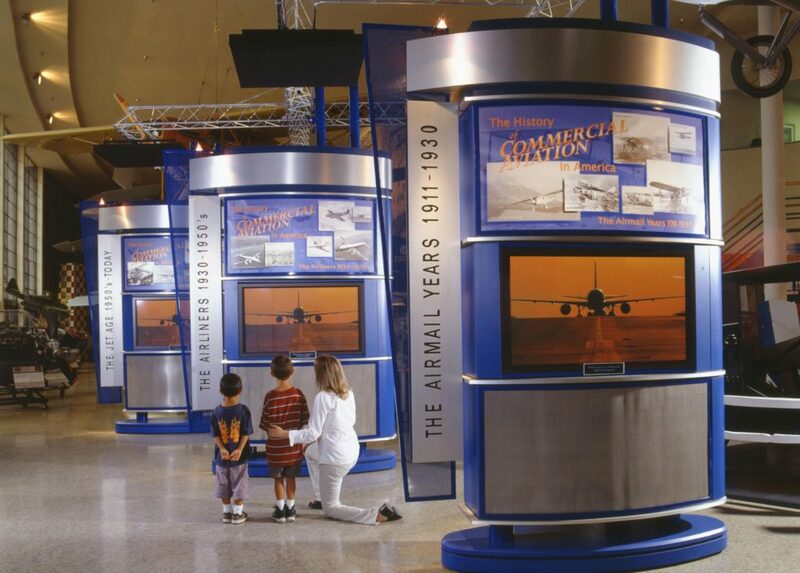 Comprised of three free-standing kiosks, the exhibit hosts a series of sequential video presentations celebrating the colorful history of the private sector’s contribution to American Aviation. 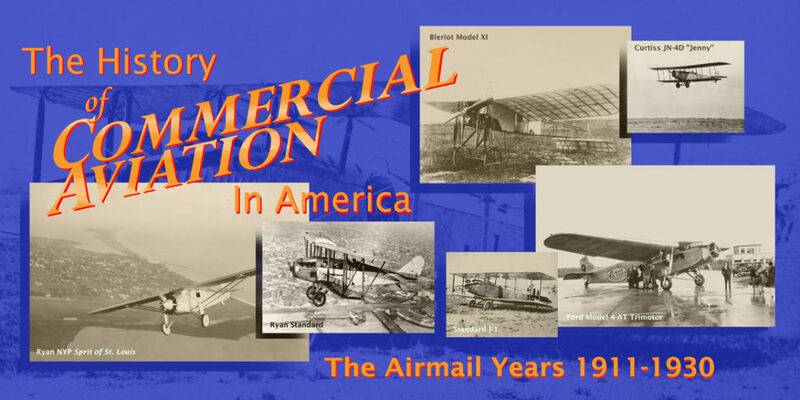 The award-winning video was produced by Mr. Fred Ashman, of MultiImage Productions, also of San Diego. 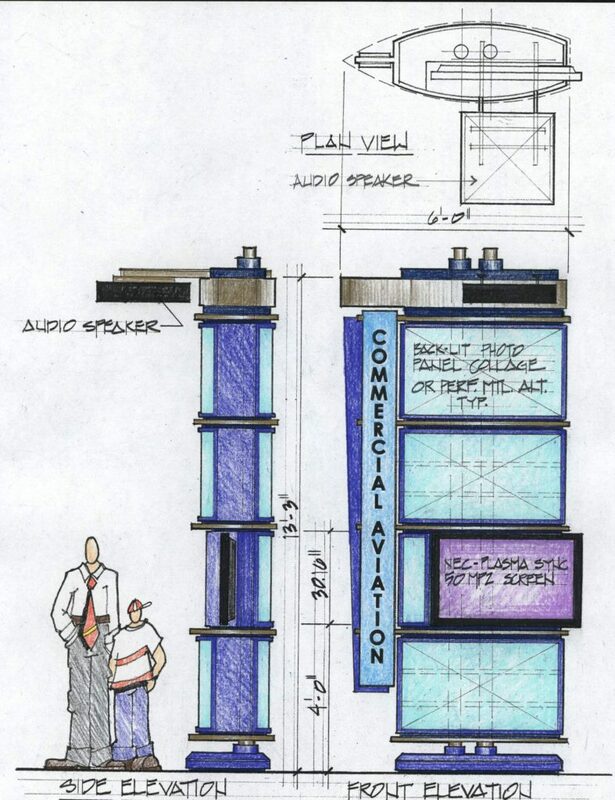 The design of the kiosks borrows heavily from the art deco detailing and color scheme of the museum facility itself. 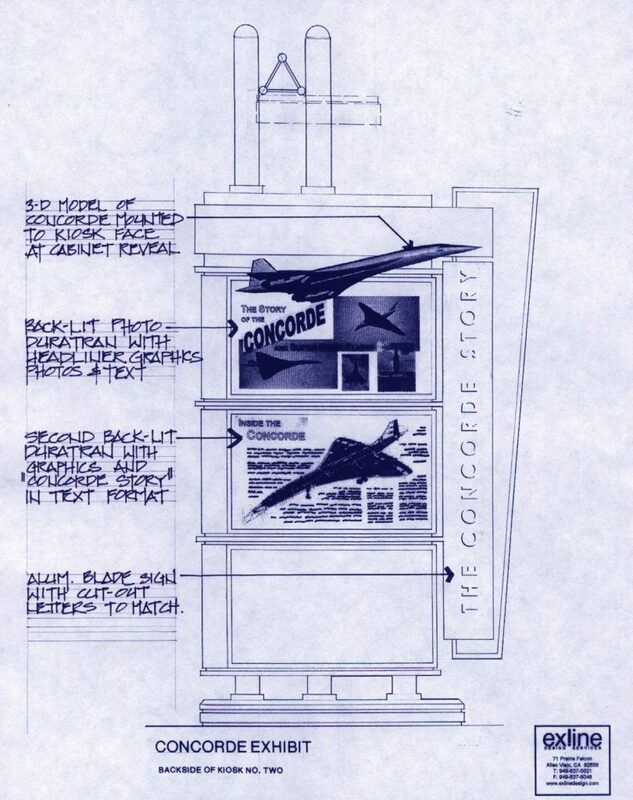 The kiosks also feature a distinctive wing-shaped plan inspired by an aerodynamic engineering aesthetic. Internally lit translites, stainless steel detailing, and motion-sensitive activators make this exceptional exhibit a real crowd pleaser. 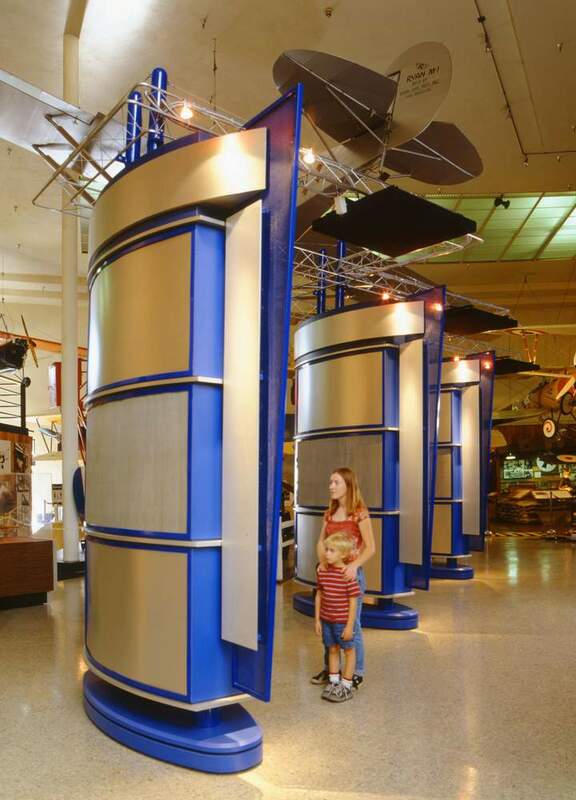 Exhibit Design: Mr. David Exline, Exline Design & Architecture; Project Management: Mr. 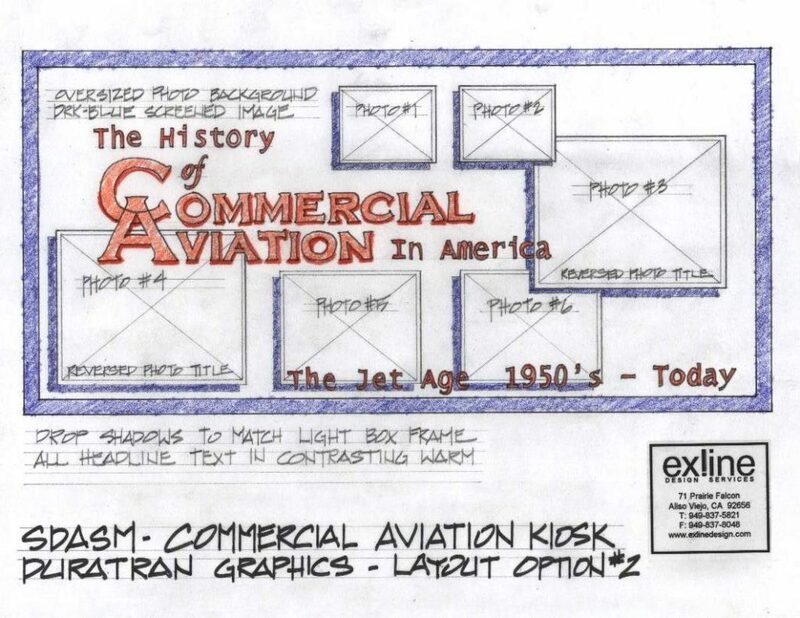 Skip Palmer, The Palmer Partners; Video Production: Mr. Fred Ashman, MultiImage Productions; Client: San Diego Air & Space Museum.